Have you ever seen the latest sectional theater leather sofas? There is so many things people have missed out on that could really help them for good home entertainment, it’s not even funny. For those of us who suffer back problems and stress due to working and everyday life, it’s now your turn to get the best of life has to offer you. Don’t you think it is time to replace that old sofa with a new one that could offer you more than just comfort? We all love our sofas and recliners but in time life has a way of wearing down the things we value and cherish the most due to over use and old age. But you have the best chance to not only improve the living room conditions, you feel the difference in how you live your life when your no longer in pain. Does theater sectional recliner sofas offer better features than your average couch or recliner? well let’s take a look into what could it do to improve your life and upgrade the style of the house in general. What Type of Sectional Sofa Do I Need? This depends on what type of life you are looking to have in your living room. Are you the type that loves movies and TV watching? perhaps you are looking to have a reading club over to relax and discuss things with friends, family or it could just be you looking to curl up to a nice book and relax all by yourself. What ever the need it may be, there are many options on the table for you to compare shop and buy the best sectional sofa that fits your needs. Most folks have this vision to buy the biggest set out there and wonder why it doesn’t fit into the living room due to improper message ring for good size and spacing. 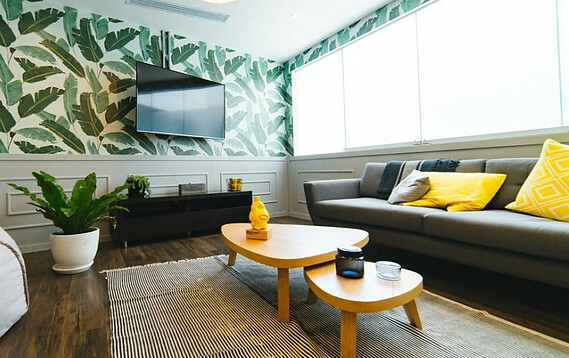 We all know you have to size up the room space and what can hold for the sake of not only enjoying the furniture set but also know it’s about the right size to use and how to manage that with other items to use inside the living room. 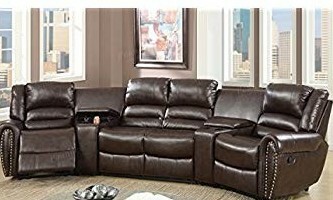 The recommendation would be for a family of four to have a four piece sectional which could get the family all together and really help improve the lifestyle and establish a stronger home base structure for those who have a smaller family of two to three, you could be most comfortable in a three-piece sectional that offers more spacing and good features for comfort and convince. This is a difficult topic to cover and master, because both really have the best to offer. 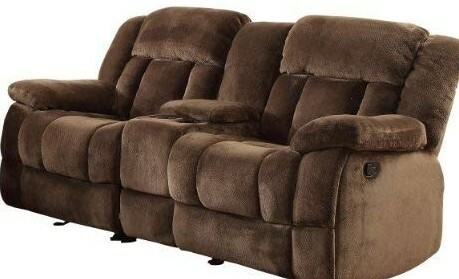 What type of sofa your in market to buy? Do you love the sofa plush touch a suede continues to give, or do you fancy a leather sofa with rich mahogany and stylish features to relax to.The both worlds you can benefit from them in great detail. There is some things you can do with both of these great types of materials, just know it’s more to do with what do you think could the best solutions to your problem and not just a good-looking need. When you get the chance to see a furniture outlet, look into one with theater seating options and try not to drool over the uphostery and take in the magic of technology and comfort that could know you socks off. Most theater furniture comfort brands could make a stronger case for better features, but as you look deeper into the most exciting features to ask for in home entertainment it’s obvious to know that theater seating is king in that aspect. 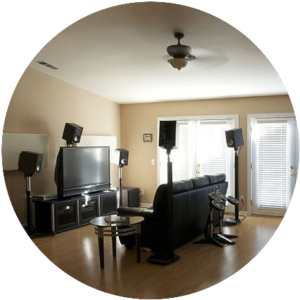 For those of you who have yet to experience the best pieces of theater furniture with good sets of recliners and smaller sofa plus love seat sets to enjoy let’s take a look at a few to get you more familiar with what is better to use for a particular home setting. Were also going to display some features to look at. This will determine what you need for better comfort, more technology, save more space. 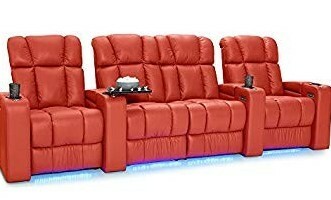 One of the true ideas to have in your home is a great leather theater sectional set that gives you the common luxury of reclining and focusing on the good life. This sectional can not only accommodate you it’s perfect for the family to enjoy as well. Try to imagine your family sitting on one of these sectionals checking out the features it as you sink into one of them yourself and recline to a more comfortable position. This sectional piece requires some assembly but it’s easier than you think. This more than one recliner available for the family to enjoy this traditional theater piece built for your comfort and convince. Do You Have Favorite Sectional Sofa To Recommend? We could go into many aspects of this sectional seating but were a sharing community of information and value which helps everyone out in finding that particular sofa set with amazing features. Therefore, let’s share our favorite theater seating or favorite sofa in general and tell us what do you prefer out of these sofas sectional set. You can help, by commenting below this article.